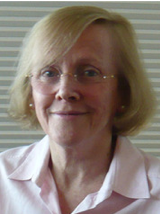 Patricia Apps is Professor of Public Economics, The University of Sydney Law School, Adjunct Professor, ANU and UTS, Fellow of the Academy of Social Sciences in Australia, and Research Fellow of the Institute of Labor Economics (IZA), Germany. Her research covers a wide range of areas in Public Economics. She has undertaken extensive analysis of the effects of tax policy on household labour supply, saving and fertility decisions, and has been a major contributor to the new literature on the economics of the household. Her publications have appeared in leading international journals including the American Economic Review and Journal of Political Economy. She is joint author of Public Economics and the Household (Cambridge University Press, 2009). Lata Gangadharan is a Professor in Economics at Monash University. She is an experimental economist who is interested in understanding and designing appropriate institutions for the environment and for development. 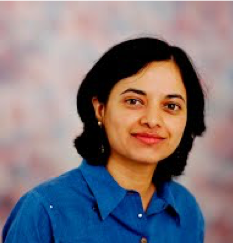 She has conducted experiments to understand: attitudes towards peer punishment to solve social dilemma problems, incentives in environmental markets, propensity for corruption in different countries, trust and trustworthiness between individuals in economic transactions and selection into labour market programs in developing countries. Stephen Jenkins is Professor of Economic and Social Policy, and Head of Department of Social Policy, at the London School of Economics and Political Science. He has substantive research interests in the analysis of the distribution of income and its redistribution through taxation, social security and the labour market. Recent research includes work on trends in inequality and poverty measurement; income mobility and poverty dynamics; labour supply and social security benefit receipt. Research interests also in quantitative research methods for analysis of income distribution in particular, and applied microeconometrics in general, especially survival analysis. Prasanna Gai is Professor of Macroeconomics at the University of Auckland. 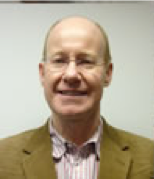 His research interests cover international economics, monetary policy and financial stability – topics on which he has published widely in academic journals, including the Review of Financial Studies, the Journal of Monetary Economics, and the Economic Journal. He is the author of two books on financial crises, both published by the Oxford University Press. Prasanna is a Member of the Board of the New Zealand Financial Markets Authority (2018-23) and, until recently, was a Member of the Advisory Scientific Committee of the European Systemic Risk Board (2016-2019). He was elected a Visiting Fellow of All Souls College, Oxford in 2014. He also has served as Special Adviser to the Governor of the Bank of Canada (2010-11) and in increasingly senior roles at the Bank of England (1994-2007). 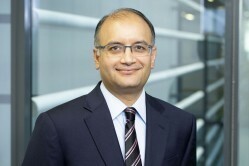 Prior to his current position at Auckland, Prasanna was Professor of Economics at the Australian National University.